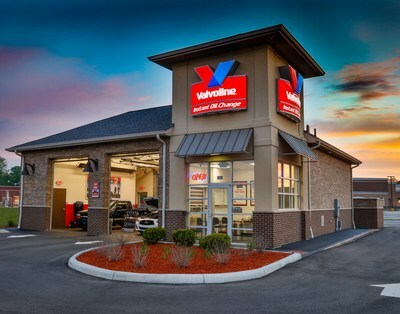 LEXINGTON, Ky., Sept. 26, 2018 /PRNewswire/ -- Valvoline Inc. – a leading worldwide supplier of premium branded lubricants and automotive services – announced today that it has opened another new company-owned Valvoline Instant Oil ChangeSM (VIOC) service center in the Houston market. A core element of Valvoline's strategy is to accelerate the growth of its industry-leading quick-lube model, which is all about delivering a quick, easy and trusted experience for every customer, every day. Of the three Valvoline Instant Oil Change quick lubes now in the Houston area, this is Valvoline's second company-owned location. The service center is at 2495 East League City Parkway in League City, Texas. No appointments are necessary. Valvoline Instant Oil Change service centers let customers stay in their cars and watch VIOC's certified technicians perform their service. Technicians complete a professional ASE®-certified training program that is ranked #2 globally by the Association for Talent Development's 2017 BEST Award. In addition to full-service oil changes done in about 15 minutes, VIOC performs a wide range of preventive maintenance services, including transmission, radiator and air-conditioning services; safety parts replacement, including wiper blades and light bulbs; and tire rotation. Most locations also offer fuel system and battery services. VIOC services most vehicle makes and models, including luxury, diesel, and hybrid vehicles. Visit www.vioc.com to learn more.